The nonadherence rate to psychiatric medications among the geriatric patient population is estimated to be similar to that in the younger adult population, around 50%. 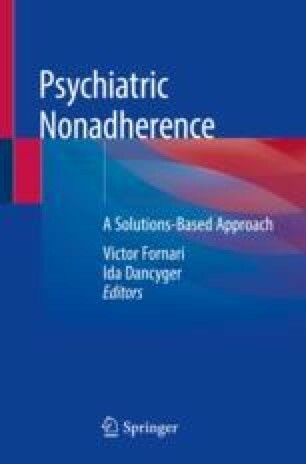 Contributing factors to psychotropic medication nonadherence include patient-specific risk factors (for example, illness beliefs and cognitive function), drug-specific factors (for example, adverse effects and cost), as well as social factors (e.g., family support). Randomized controlled trials on geriatric adherence to psychiatric medications are scarce. We propose strategies that are better adapted to the geriatric population to improve medication adherence. We thank Dr. Barnett Meyers for his assistance with this manuscript. Haynes RB, Ackloo E, Sahota N, McDonald HP, Yao X. Interventions for enhancing medication adherence. Cochrane Database Syst Rev. 2008;2:CD000011. https://doi.org/10.1002/14651858.